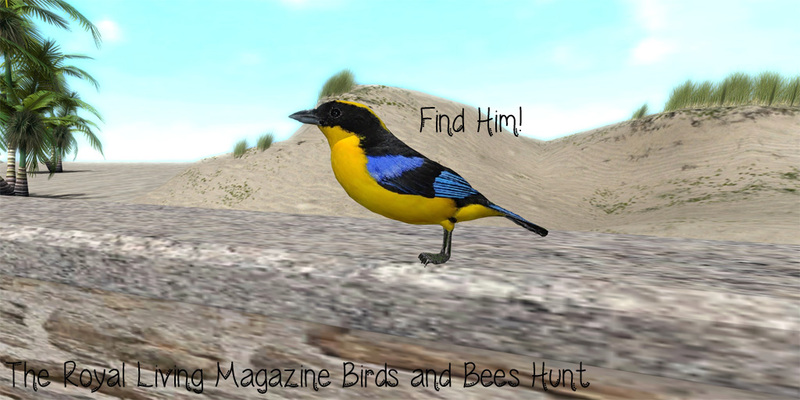 Royal Living Proudly Presents Our Spring Edition with The Birds & Bees Hunt! Our Spring Edition of Royal Living Magazine has been released and is available for reading both in-world and at http://www.issuu.com/RoyalLivingMagazine ! We decided to celebrate by inviting a bunch of our friends to buzz around the grid with us as part of the Royal Living Magazine Birds and Bees Hunt! April 14, 2013 through April 28, 2013! It is a major honor to work with such a fabulous group of designers who have created these beautiful items that will put a little spring into your home! The hunt is easy to play simply visit each store on the list using the posted SLURL’s, bring some friends and search for this birdie! …once you find the RLM birdie click him and buy him for only 45Ls then buzz to the next spot! Let us begin our journey across the grid to find these items! 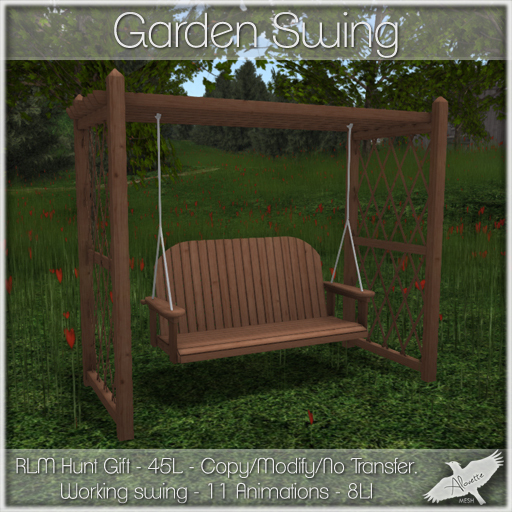 Cobblestone Home & Garden – New Release! End of Daze Designs – New Release! Rack Poses – New Release! Palais – New Exclusive Item! Clutter for Builders – 2 EXCLUSIVE ITEMS! xD Lovin’ the name ♥! Park Place Home Decor – New Release! Eleventh Hour – New Release! 22769 ~ Bauwerk – New Release! Beach Street – New Exclusive Item!